Whenever I try something new in Blender the first thing that happens is that I don’t know where some basic, very, very basic button is. Or what the shortcut is. A gibbering gerbil whizzes along on Youtube to ooohs and aaahs, and it’s all marvellous, but I end up looking for someone less speedcrazed from whom I will learn more. I can get back to gerbilspace later, armed with Knowledge. I have never used the UV editor before but I wanted to play with it this morning. After looking at stunning things for a little while I was driven to things labelled beginner and found this tutorial where I learned exactly what I need to know. Brilliant. I hate when applications second-guess what I want to do. Maybe it’s YouTube that’s changed. Maybe the sun is going backwards. Maybe it’s me. I wish people would stop ‘improving’ things that work. Clear explaining meant I was done in a half hour – 15 mins watching, 15 mins fooling about. I made a basic textured cube, and on we go (thank you mephesh). NOW BRING ME A GERBIL !!! No need to uninstall old version before updating – it makes a new folder for the new version and both can happily sit on the drive. 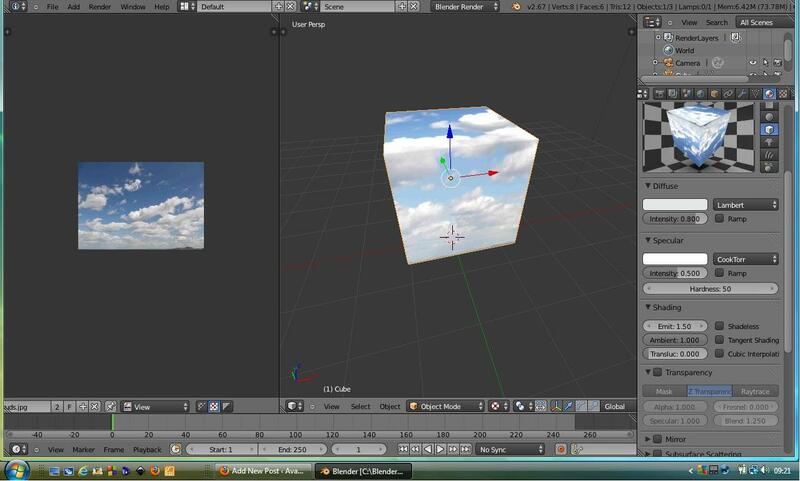 Blender files are separate discreet entities (one reason why I use this) and won’t be affected. Releases come thick and fast (and good!) – 2.67b as I write and 2.68 pending. The project does rely on users for debugging so dowloading the newest release and giving it a test drive, is a nice way to say thanks for all the work. Reminder to self to do that! I also, it would appear, store trivial information in someplace well out of the way of whatever I’m doing/I forget things/I have diffuculty accessing stuff that isn’t immediately necessary – who knows who cares, a note in an obvious place has saved me hours of searching many a time. Will someone start manufacturing and selling these already pls, and send me one. I doubt I can do it myself but nonetheless you may be sure the next dead printer I find will have its innards investigated for a stepper motor.